Seakale (Crambe maritima) is originating from the pebble beaches of Western-Europe. It has been cultivated for many years in France and England. Recently Intellicrops has introduce the culture in Belgium and developed in collaboration with Bruyninckx bvba the cultivation of seakale sprouts. 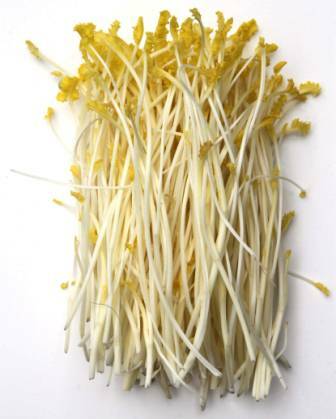 Seakale sprouts are the results of selected propagation material and the forcing on hydroculture of root cuttings. The result are very tiny sprouts with a mild sweet kale taste. Both companies aim to trigger the horeca market.